youtube | Straight from the heart! What started as a hacking bid four months ago, ended as the biggest brawl in internet history this week, when Google routed its 140 million Chinese visitors from Google.cn to their “Uncensored” Hong Kong site. Google officially claimed to have uncensored its “Search services” – web search, news and images. Yet, the retreat is only partial, as Google shall retain most of its existing operations including its research and development team, local sales force and continue to operate the online maps and music services. Knowing that Technically, it’s still very easy for the Chinese government to continue blocking Google’s services, Google conveyed that they are closely monitoring such activity and that such actions will directly impact Google’s remaining local employment in Mainland China. Google announced its decision with carefully chosen words, balancing the sentiments of Chinese netizens on grounds of Google’s mission to free speech and yet avoid a possible Chinese government’s backlash on their local officials. Contrary to popular belief, “Censorship” is NOT the prime reason for Google’s exit. After all, while entering the Chinese market in 2006, Google had themselves agreed to such compromising conditions, in their race for capturing an exploding internet population. The systematic and targeted hacking of Gmail accounts, theft of their source codes , accusations of spying on behalf of CIA, lack of intent in the actions of the government against such crimes and most importantly – a clear inclination of the government towards homegrown players, over a prolonged period of time culminated to such a major decision. So, how does this impact Google Inc. ? 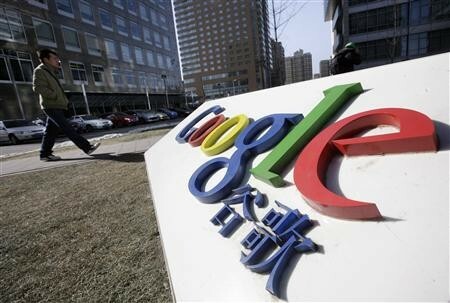 Revenue:- Google’s $ 250 – $ 600 million revenue in China, is a fraction of their $ 24 billion global revenue. Google would’ve spent a bomb setting & running local operations anyways. Market share:- Google’s share in the Chinese search market is just one third, with the local player – Baidu still holding the lion’s share at 58%. i.e. 140 million of the 400 million Chinese internet subscribers. 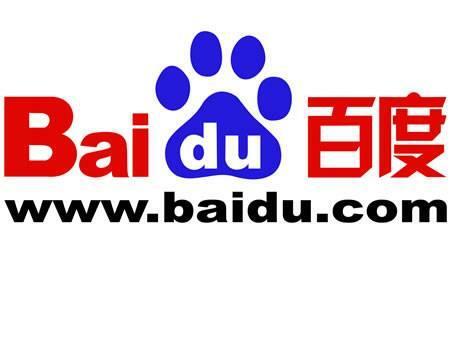 Baidu and Bing will definitely see an upside with this development. Immediate Impact:- Already, in the last three months, Google’s stock price has fallen by 1.5% as against Baidu’s rise of 15%. Opportunity loss:- Some analysts’ feel the opportunity loss for Google in the next 5 years is estimated to be about $ 400 million revenue income from China, which is quite insignificant against their overall global plans. Their may be a blip in Google’s Android handset launch in one of the fastest growing telecom markets in the world. Chinese User behavior:- Unlike trends in many “Free” internet markets, the Chinese internet users are basically NOT searching for information but Lifestyle. Gaming, Social networking, shopping, music & entertainment are the real drivers that constitute China’s $ 11 billion annual internet revenue income (2009). Thanks to Baidu‘s strength in China, they stand in the 3rd place in worldwide internet search with 7% share, only after Google (67%) and neck to neck with Yahoo (8%). 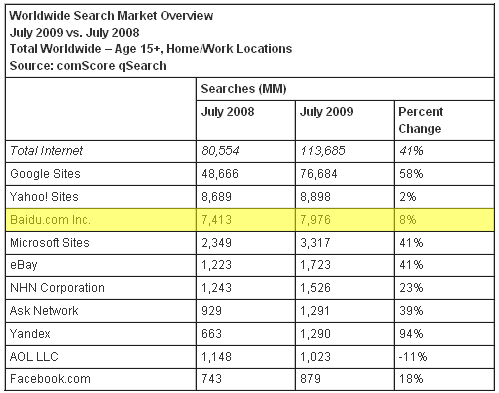 Microsoft sites are at a distant 4th position with 3% share (which is now gaining traction with Bing). Google’s decision to quit China understandably affect Google’s shareholder’s, as one can easily feel jittery leaving out the most populous country in the world. However, Google’s fundamentals are strong. 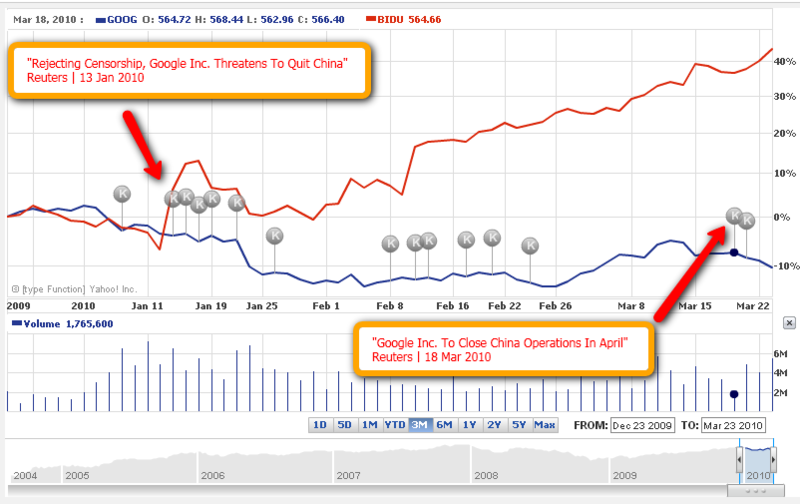 The Google success story was never about China. With the recent global economic turmoil, Google has just about scratched the surface of the immense potential advertising revenue it can get when company’s migrate from traditional to digital means of advertising in rest of the world. Also, Google has only done a “Partial” retreat. Their plans for Android, etc. in China are yet unchanged. The impact on China & their strategy? Credibility & Sovereignty: China’s stance on the topic is very clear. To preserve their culture and control on public information, all media in China (by law) is censored by the government and Google is no exception. 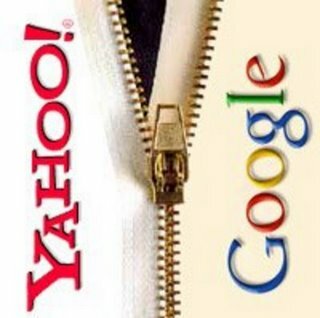 After all, how would the US react if one fine day Yahoo Corporation were to stand up and say they did’nt care about US cyber laws? The problem is that China goes to any extent in meeting such objectives, which includes but does not limit to the use of force, stealth & mercenary tactics even. They are also highly nationalistic while dealing with foreign players in their country (Especially US corporations). 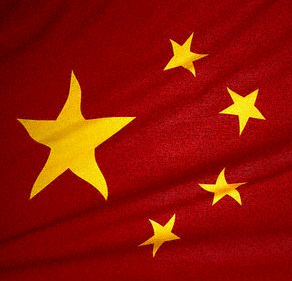 Internet & mobile user base:- China has a 28.9% internet penetration with a whopping 400 million subscribers. A large quantum of these (140 million) are Google users. ‘China Mobile Ltd. – the world’s biggest phone company by subscribers, with 527 million accounts, also uses Google for mobile search and maps. Local players & their impact:- Tencent (Instant messaging), Alibaba (B2B trade), Taobao (Ecommerce) & Baidu (local search) are already leading business players. With Google’s departure, Baidu will grow stronger in internet search. As Youtube exits, Youku and Tudou will gain advantage… But, without global competitors, they will never become World class. Local Entrepreneurs:- Another significant impact of a Google departure could lie behind the scenes, where many small Chinese companies, & entrepreneurs, rely on its AdWords advertising service, Gmail e-mail and documents services. Unemployment:- With an explosive population in Mainland China & growing unemployment, such steps will isolate the country from the Global economy and limit the country’s economic growth. Curiosity amongst Chinese Netizens:- It may be easy for the government to allow Google to shut shop, but telling 140 million people to suddenly change their behavior because the government wants to hide information from them, will not be a cake walk. China may have to deal with great tact to contain the growing curiosity amongst such a vast population. What if they were to find out? My belief is that China will not unplug Google- Hong Kong’s access, but continue censorship and deteriorate their speed & quality such that users gradually migrate to alternate options. Rampant Piracy:- Interestingly, Google (in a Chinese JV) also runs Top100.cn – which provides free music downloads across many labels in an unlicensed manner. There are doubts on the company’s future operations too. Top100 has been instrumental in reducing the Piracy in China which could suffer a dent for the industry as “Piracy thrives on censorship”. The numerous chocolates, flowers & parting notes left on the Google’s signboard in Beijing office expresses a popular sentiment. 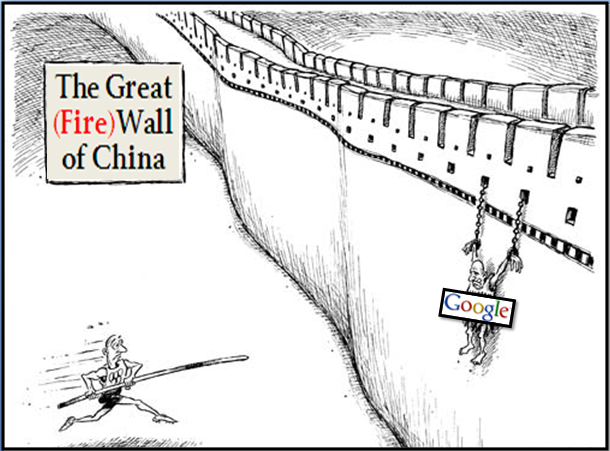 Google’s dramatic exit from Mainland China, is no longer a clash between two rivals, but a more symbolic moment in history, which is bound to have an economic, political, technical and fundamentalist impact in the world over in coming times. This could even become a turning point in China’s communist policies, as well as a revision in defining “A Free World”… and each one of us will feel it. Sahaye's Blog – 'coz Perception is reality! Pakistan might just prefer to attack India? Trends in Reward and Recognition. Interview: "Three big questions on Total Rewards" Focus Areas » Managing and Rewarding Performance.